Almost 24 hours after Felisia started giving birth a weak boy was born. He's a fighter and we hope that he will stay with us. Unfortunately a correct boy passed away appox. 48 hours old. 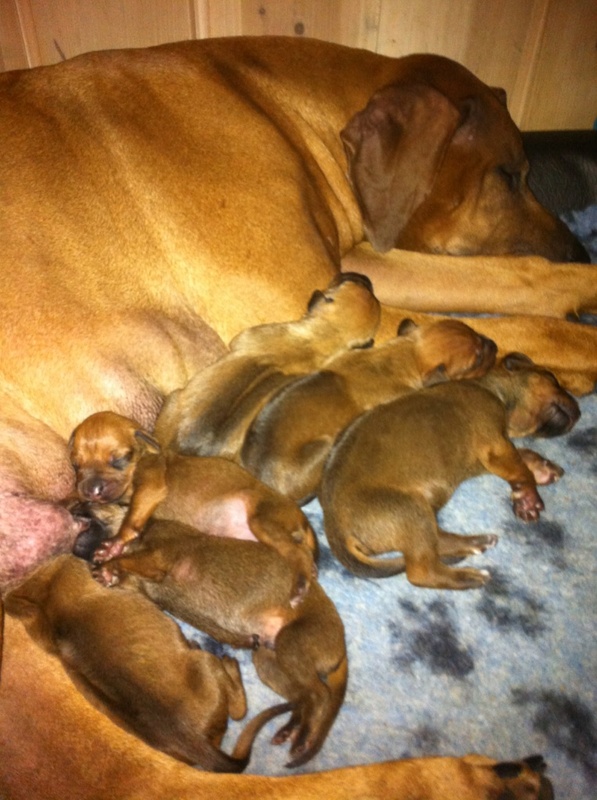 So we still have 6 puppies 4 boys and 2 girls.